These Silhouette shades are the perfect elegant touch to any room. When the veins are open they appear to magically float between the front and back sheers. 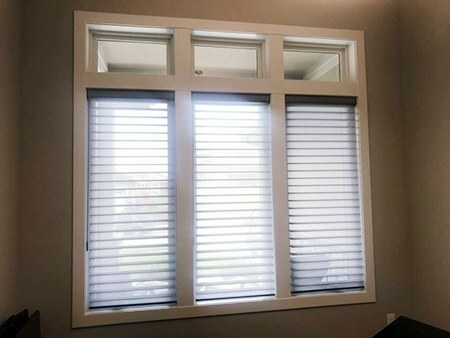 The Silhouette shades are perfect for filtering light and providing privacy for the front room of this home.